ROANOKE RAPIDS, N.C. (WNCT) - A man has been arrested on several drug charges after authorities conducted a search warrant in Roanoke Rapids. 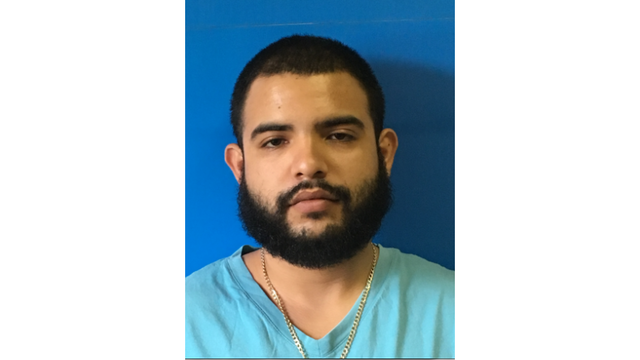 Kevin Macias, 22, of Roanoke Rapids, was charged with possession with intent to sell and deliver marijuana, possession of marijuana, maintaining a vehicle or dwelling place for a controlled substance, and possession of marijuana paraphernalia. The Halifax County Sheriff’s Office along with the Roanoke Rapids Police Department Criminal Investigation Divisions conducted a search warrant at a residence located in the 2400 block of West Tenth Street. Investigators said they found 77 grams of marijuana, a digital scale, and fold top sandwich bags in the residence. The Investigators contacted the Halifax County Sheriff’s Office Narcotics Division and arrested Macias. He was released on an $8,000 bond. Macias is scheduled to make a court appearance on August 18. The police seized other items from the residence and the case is still under investigation.